A growing body of evidence suggests that exercise training has beneficial effects in cancer patients. The aim of the present study was to investigate the molecular basis underlying these beneficial effects in skeletal muscle from cancer patients. We investigated expression of selected proteins involved in cellular processes known to orchestrate adaptation to exercise training by western blot. Skeletal muscle biopsies were sampled from ten cancer patients before and after 4–7 weeks of ongoing chemotherapy, and subsequently after 10 weeks of continued chemotherapy in combination with exercise training. Biopsies from ten healthy matched subjects served as reference. The expression of the insulin-regulated glucose transporter, GLUT4, increased during chemotherapy and continued to increase during exercise training. A similar trend was observed for ACC, a key enzyme in the biosynthesis and oxidation of fatty acids, but we did not observe any changes in other regulators of substrate metabolism (AMPK and PDH) or mitochondrial proteins (Cyt-C, COX-IV, SDHA, and VDAC). 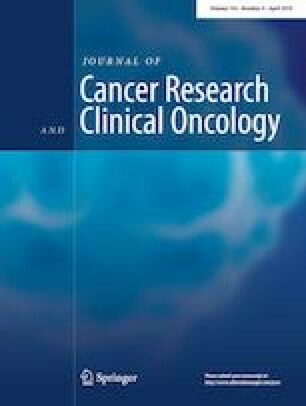 Markers of proteasomal proteolysis (MURF1 and ATROGIN-1) decreased during chemotherapy, but did not change further during chemotherapy combined with exercise training. A similar pattern was observed for autophagy-related proteins such as ATG5, p62, and pULK1 Ser757, but not ULK1 and LC3BII/LC3BI. Phosphorylation of FOXO3a at Ser318/321 did not change during chemotherapy, but decreased during exercise training. This could suggest that FOXO3a-mediated transcriptional regulation of MURF1 and ATROGIN-1 serves as a mechanism by which exercise training maintains proteolytic systems in skeletal muscle in cancer patients. Phosphorylation of proteins that regulate protein synthesis (mTOR at Ser2448 and 4EBP1 at Thr37/46) increased during chemotherapy and leveled off during exercise training. Finally, chemotherapy tended to increase the number of satellite cells in type 1 fibers, without any further change during chemotherapy and exercise training. Conversely, the number of satellite cells in type 2 fibers did not change during chemotherapy, but increased during chemotherapy combined with exercise training. Molecular signaling cascades involved in exercise training are disturbed during cancer and chemotherapy, and exercise training may prevent further disruption of these pathways. The study was approved by the local Scientific Ethics Committee of the Central Denmark Region (Project ID: M-2014-15-14; date of approval: 01/27/2014) and the Danish Data Protection Agency (case number 2007-58-0010; date of approval: 01/28/2015). The trial was registered at http//www.clinicaltrials.gov (registration number: NCT02192216; date of registration 07/17-2014). The online version of this article ( https://doi.org/10.1007/s00432-019-02911-5) contains supplementary material, which is available to authorized users. Signe Bentsen and Morten Ørskov are thanked for their technical assistance during the studies. ABM, SL, URM, IH, NJ conception and design of research; ABM, SL, TV, NR, URM, JW, JF performed experiments and collected data; ABM, JF, JW, SL, URM, and NJ analyzed and/or interpreted data; ABM prepared figures and first draft of manuscript; all authors revised the draft and approved the final version of the manuscript. The study was supported by the Danish Medical Research Council, the A.P. Møller Foundation for the Advancement of Medical Science, Knud Højgaard Foundation, P. A. Messerschmidt og Hustrus Fond, and Augustinus Foundation. Funding was provided by Fonden til Lægevidenskabens Fremme (17-L-0304). No conflicts of interest are declared by the authors. The study was approved by the local Scientific Ethics Committee of the Central Denmark Region (journal number: 1-10-72-15-14) and the Danish Data Protection Agency (case number: 2007-58-0010). The trial was registered at http//www.clinicaltrials.gov (Clinical trial registration number: NCT02192216). Consent for publication has been obtained by the participants. All data generated and analyzed during the current study are available from the corresponding author upon reasonable request.